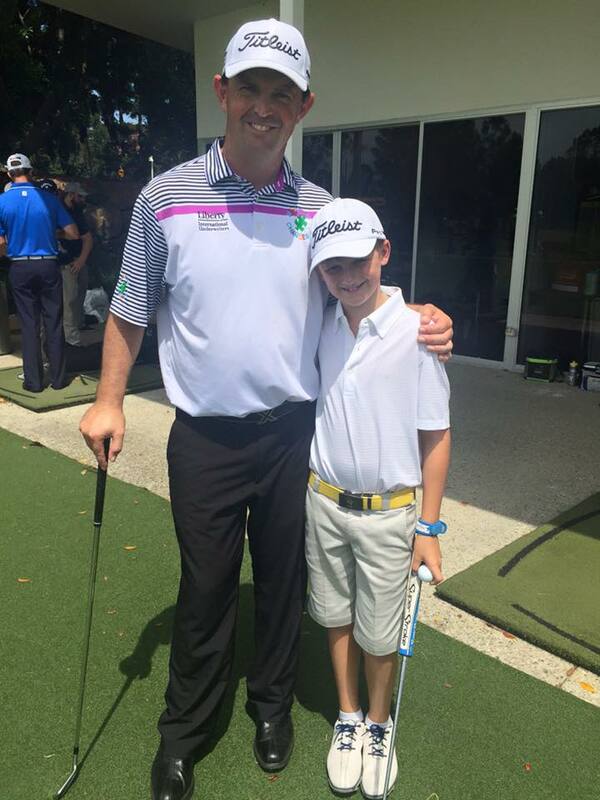 Lovely little post from Greg Chalmers on Facebook this morning with a picture of a letter from a little man called Harry who decided that instead of getting Christmas presents this year he was donating $1000 Aussie dollars to the Maximum Chances Foundation. I understand the charity helps children with Autism. 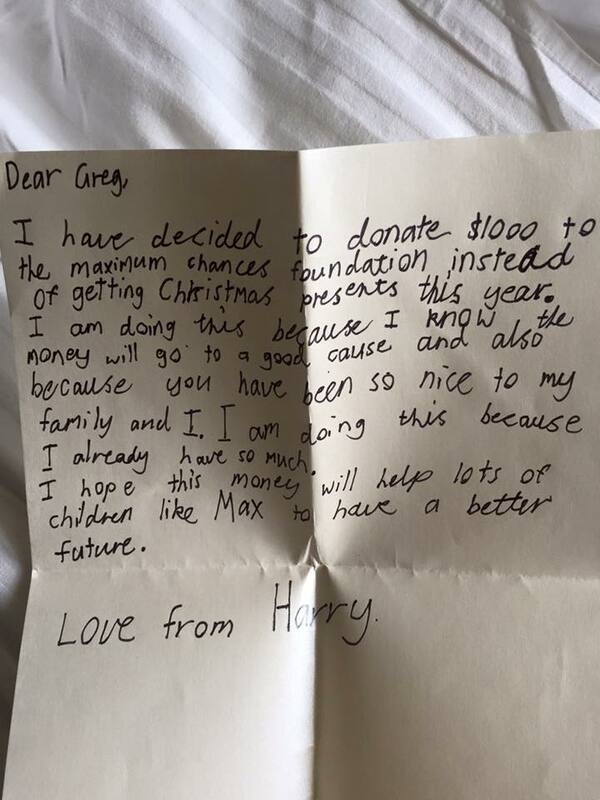 Not sure Santa had an outlay of $1,000 bucks but Harry's letter is great! And here are the two champs.